Order your products online, by phone at 888-470-4835, or by email at salesmgr@lampmaster.com. Your price includes shipping both ways and responsible recycling. Pack your items according to federal safety procedures, comprehensive instructions are included with every package and also downloadable from our website here. Schedule a pickup with FedEx online or by calling 1-800-GOFEDEX and following the instructions included with your kit. The pre-paid return label is included in your order! 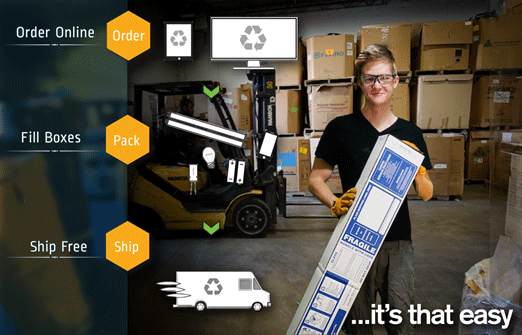 After you ship, you can elect to have boxes automatically re-sent to any location. 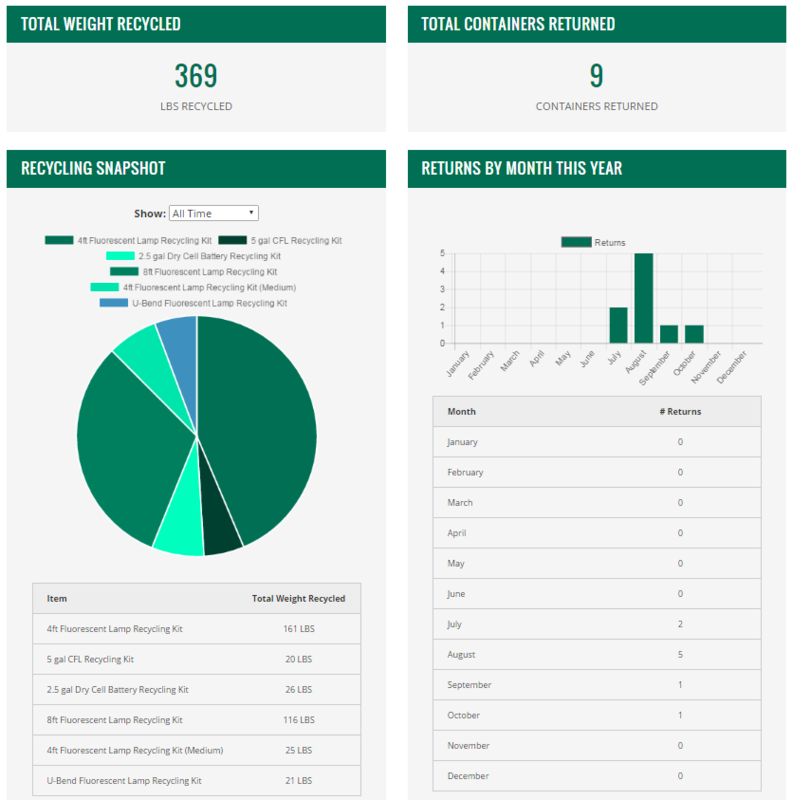 Your LampMaster account is a powerful tool that no other recycling business can provide. From your portal you can track metrics and generate reports, track shipments, manage various locations, and download receipts and certificates. Our IT team has worked hard to make the web portal a complete and easy experience.